Size: * 3 oz. 6 oz. 12 oz. ClearShield-HD is an exciting new finish for popper builders and conventional lure makers. Devcon and BSI. BAD IDEA. These were designed as adhesives and will discolor VERY quickly. Additionally they are NOT waterproof (only water resistant). 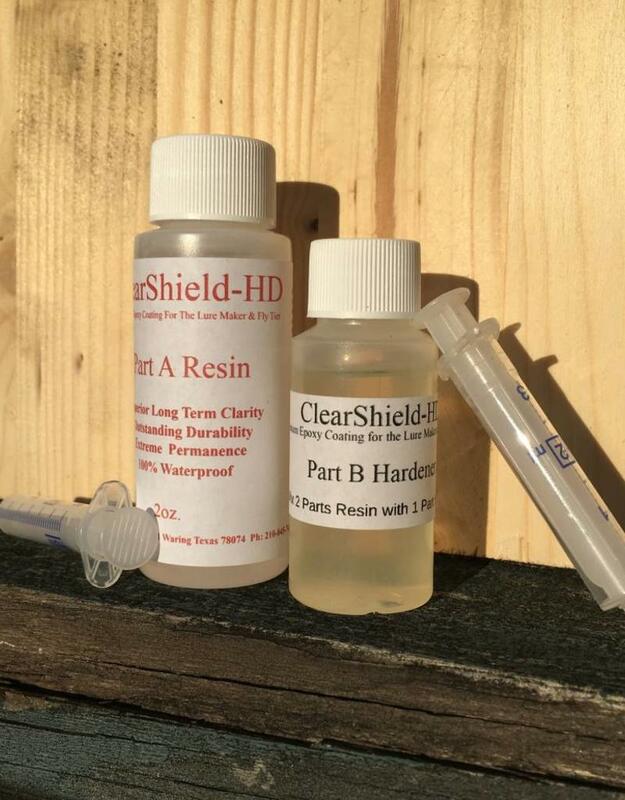 So, the main difference in our formula is that its actually designed as a "clear coat" to be exposed to the elements, rather than an adhesive or laminating resin designed to be painted over or hidden in a glue joint. It handles very much like an oil based paint,, and can be applied in very thin coats unlike many of the other formulas on the market. 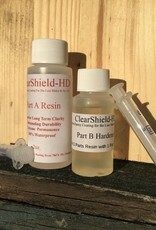 ClearShield-HD is a two part finish that is mixed in a 2:1 ratio, and each kit includes syringes for accurate measurement. Click here for the ClearShieldHD website.